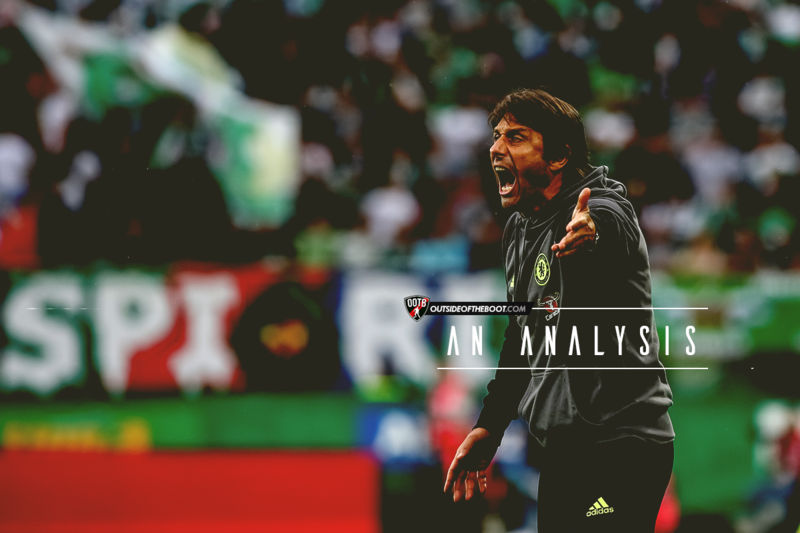 The tactical expert Albin Sheqiri is back with an exhaustive analysis of Antonio Conte’s tactical setup with Italy at Euro 2016. They may have been eliminated from the tournament in the quarter-finals, but in football you don’t just remember the winners. 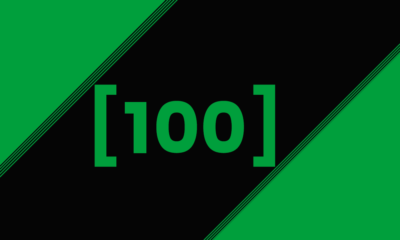 You remember the team that inspires the viewer the most. The Italy of Conte is a team that impressed a lot, not just me but the entire world of football. 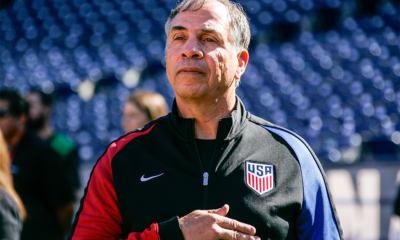 With as few opportunities to have sessions together as national teams have, it is quite usual to see national teams have an unclean collective positional structure/systems defensively and attacking wise, to rely a lot more on individual qualities. What Conte managed to build for this tournament, was a fantastic collective team, which in my opinion was the best this Euro 2016. ’’ I believe Italy are a mix of Atletico Madrid and Barcelona’’ – Xavi Hernandez, post-match quotes (Italy 2-0 Spain). 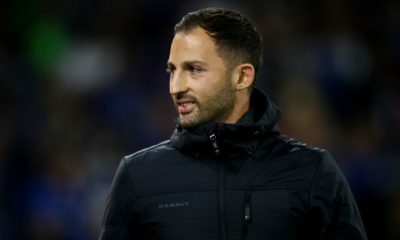 During his spell as head-coach, the ex-Juve man implemented a 5-3-2 system of play where he built his team around the three central defenders (Bonnucci, Barzagli & Chiellini ) as its core. 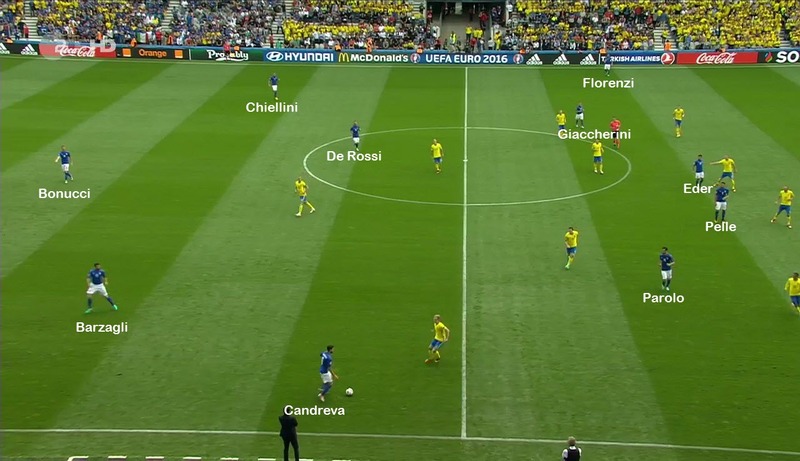 The same ‘’idea’’ is seen in his way of playing the 5-3-2 with Italy, where the three play a huge role for the entire team. 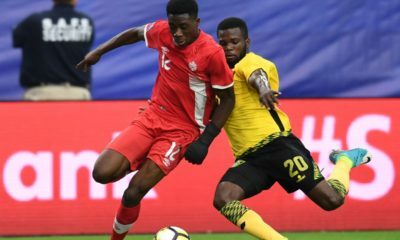 What surprised me the most before the tournament was Conte’s selection of players. Many of the players are not well known and Italy were even missing top class midfielders such as Veratti and Marchisio. ’’ Lack of passion makes me angry. 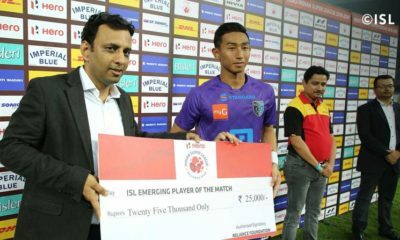 Football is a sport you have to be in love with, you need to have a lot of passion and enthusiasm. 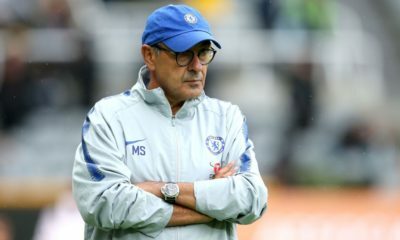 If I see players who don’t have it, strolling around the pitch, looking tired in training – that makes me angry ’’ – Antonio Conte about players attitude and passion to the sport. 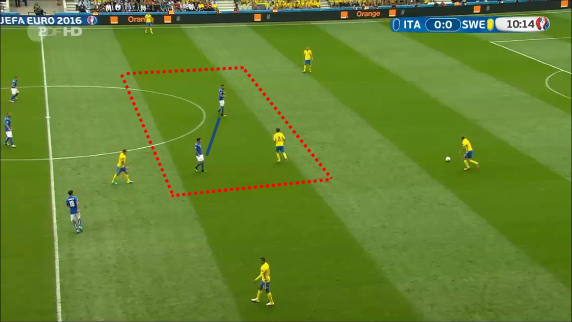 The pattern you notice directly with this Italy side is its ‘’local’’ compactness in relation to the ball. 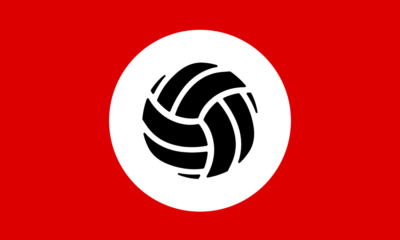 Due to the zonal-marking implemented, it automatically relies a lot on collectivism with the ball and teammate as the highest priorities, but you can’t exclude situations of man-orientations within the system. The team is exceptionally compact horizontally and vertically the closer to Italy’s goal the opponents’ play. What impressed me the most was how Italy was able to cover spaces horizontally with only three central midfielders. 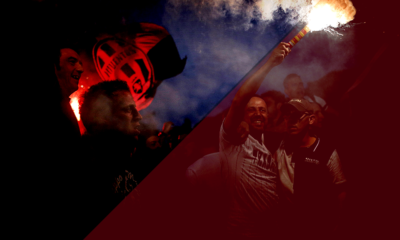 There were not many occasions of a team playing through Italy centrally. 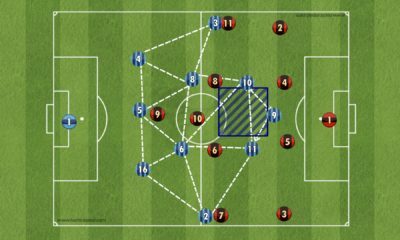 Due to Italy’s compactness in relation to the ball, they forced the opponents from central areas to a less ‘’vulnerable’’ spaces like the flanks. This helped to create better access to recover possession of the ball from the opponent by using traps or overloads numerically. What a 5-man-backline also provides is a clean occupation of the half-space zones of the pitch (to be dealt with in detail later). The first line of defense in Italy’s 5-3-2 are here in relation to the central position of the ball, closing down central passing lines, which leaves the flanks open for the opposing team. Another situation where you can notice the central position of the ball and the coverage of central spaces from the first line of defense in Italy’s 5-3-2 against the ball. What was a quite common scene was that if Italy’s first line of defense succeeded in their defensive roles, then the entire process of defending became automatically a lot easier for the rest of the defending lines, which shows its power of zonal-marking if it’s done collectively. Italy in a clean 5-3-2 formation with compactness both vertically and horizontally, which again shows Conte’s focus on closing down central passing lines to force the opponent out wide. Since they shift across collectively in their lines of defense, the one to press in wide-areas was the left and right central-midfielders of the 5-3-2 (Giaccherini and Parolo). The trigger of the press was basically the pass out wide from the central defender to the fullback. In these situations you could notice the coverage of half-spaces before the actual pressing. While in pressing towards the fullback, the central-midfielder (for example: Giaccherini) oriented his positioning to cover any kind of passing-line through the half-space. 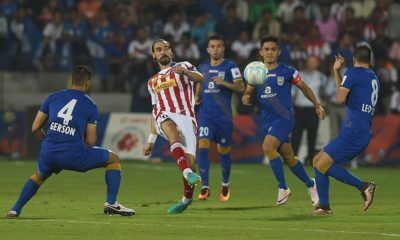 Now what the central midfielder does in his pressing is to force the opponent to play a pass back towards the opposing team’s goal or invite the pass forward towards the flank. This all depended on the central-midfielder’s angle of body position while pressing the fullback. Situation where Giaccherini is the one to press the opposing fullback, while the other defensive lines of Italy shifts across in relation to the position of the ball and Giaccherini. What I want you to notice is the position of the ball-near striker (Eder), who in these situations of horizontal shifting collectively, is oriented to situationally mark the ball-near central-midfielder providing support to the fullback. This to prevent eventual build-ups through central zones and forces the opponent to restart their build-up. Same implementation of Italy against the ball here in a 5-3-2 where you can notice that Giaccherini is not pressing Höwedes but only pressuring him to cover-shadow passing options through the half-space. Whenever the right/left central midfielder of Italy started to press the fullback, the entire line of Italy collectively shifted across. But the more interesting part was De Rossi’s role, who in these pressing situations positioned himself with a diagonal position in his coverage of the spaces in relation to the pressing teammate. This diagonal orientation helped Italy to maximize the effect of the three midfielders while covering spaces/defending to create enough compactness vertically and close down gaps between the backline and midfield line. If De Rossi was to position himself closer in-line to the pressing teammate it would create better and easier access for the opposing team to find a vertical ball through Italy’s midfield line, due to the vulnerability of an eventual ‘’flat’’ line. Another example of why Conte wants to play with three central-defenders is probably due to the fact that he has three of the world’s best in that position. Barzagli, Chiellini and Bonucci are in fact all top-class defenders and have both defensive and attacking qualities. 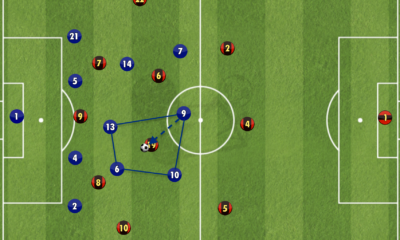 Whenever the opposing teams did find opportunities to play through Italy via central passing lines or through the midfield line in general, it was the central-defenders job to minimize the effect of this pass between the lines of Italy and basically man-mark until the player had no option other than to play it back (away from the goal) or lose the ball to the central-defender. In these situations when a central defender leaves his position of the backline, the other defenders of the backline retreat to cover eventual spaces behind the player leaving his position (situationally). This all to not let the opponent create time and space on the ball to start and threaten space towards Italy’s defending line in the last third. There were even situations when Bonucci recovered the ball and continued joining the counter-attack, and De Rossi was the one to ‘’fill’’ in the gap of that position to create defensive balance. Conte used this type of defending a lot more vs Spain, where he had a whole different approach in his first two lines of pressing/defense, which caused a lot of disorganization for Italy and created opportunities for Spain to find players between the lines due to Italy’s many man-orientations (will be dealt with). 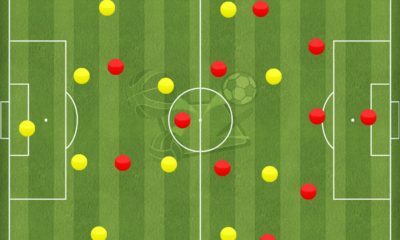 What Spain wants is to push up their fullback to enable their wingers to take on a more central position (for example half-space), which meant that Italy’s wingbacks were the ones to focus on their 1v1 vs the fullbacks of Spain, which let the ball-near central defender cope with the central positioning of the winger. What Conte did not want is for Spain to create a possible 2vs1 situation in the flanks vs Italy’s fullback, which would force Chiellini or Giaccherini out of position to help Italy defend a numerical inferior situation. What might be the most important component is (as I’ve already mentioned above) the defensive roles of the strikers of Italy. Their defensive work is important to facilitate for the other defending lines of Italy while trying to set a pressing trap. What Eder and Pelle do is to orient their position to the ball-near opposing central midfielder, while shifting across in relation to the position of the ball. This to basically cover/exclude the opportunity for the opposing team to find a pass to the ball-near central midfielder since there would, in a 5-3-2 formation in pressing, a gap between Giaccherini’s press and De-Rossi’s covering. To solve this Conte has his strikers situationally cover these zones and even players. This to, again force the buildups of the opposing team out wide. Eder and Pelle with central compactness in relation to the ball to force Belgium’s central-defender to pass it out wide to the fullback. 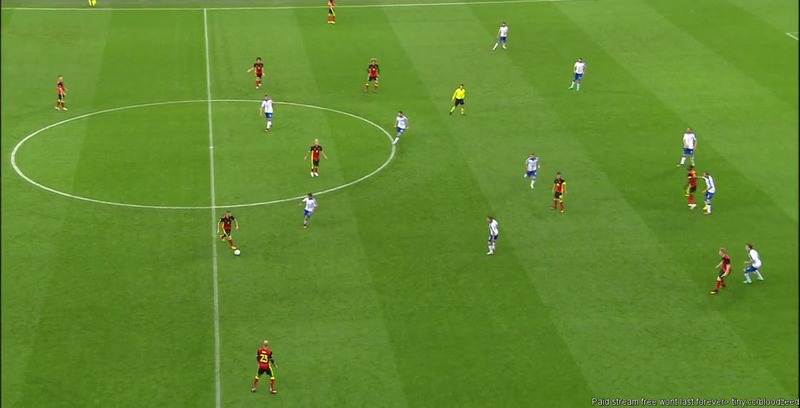 The trigger for Giaccherini to press Ciman (fullback of Belgium), while De-Rossi cover with diagonal position behind in relation to the ball and his teammate and Eder tries to close down the space for an eventual pass through to the supporting ball near midfielder of Belgium. A bad example of strikers defending. Another variant in Italy’s defending towards the opposing fullback, is for the wing-back of Italy to press the fullback instead of the ball-near central-midfielder, who in these situations can focus on solely covering space instead. This variant is not something Conte uses regularly during the play but is just another variant to situationally use for higher pressing occasions. This variant is also used as a ‘’trigger’’ for Italy’s wingback to press the opposing fullback if the strikers can’t shift across fast enough due to collective shifting horizontally which could potentially create ‘’weak’’ flank areas and access for an eventual switch of play for the opposing team while in possession. It is in situations like this that the wingback can then press the fullback instead of a central-midfielder which could stretch-out the midfield horizontally and eventually open up gaps between the lines. This makes the system look like a situational 4-4-2 formation where, for example, Candreva is the one to press the fullback and Barzagli shifts across to cover space behind and focus on the opposing winger. This is just another variant to facilitate and strengthen Italy’s focus on defending vulnerable passing opportunities between the lines for the opponents. So, why a 5-3-2 instead of a 4-4-2 against the ball then? I think the answer could be due to the access to the half-space that the 5-man-back line automatically creates. This means that in a 5-3-2 formation the way Conte uses it, Barzagli-Parolo and Chiellini-Giaccherini (on left side) have automatic access to defending the half spaces in their starting positions itself. This means that you can create a better defensive structure towards the defending of these spaces, which are constantly occupied by great teams in terms of positional play (for-example Bayern Munich vs Atletico Madrid). ‘’ When I arrived at Juventus, I wanted to use a 4-2-4 system, but then we signed Arturo (Vidal) and I realized it would be better to have three central midfielders than two wide players’’ – Antonio Conte about his philosophy and formations. 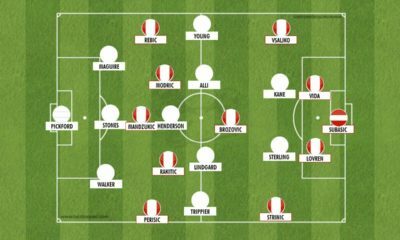 Conte has before this Euro 2016, played with several other formations and used a 3-4-3 and a 4-3-3 formation which shows that he is not stuck to one formation but rather has an idea of playing and wants to use the best formation to implement this kind of play (with the players he has available). What Conte has proven is that he is tactically flexible and is very efficient when it comes to a game-plan based on the opponents. 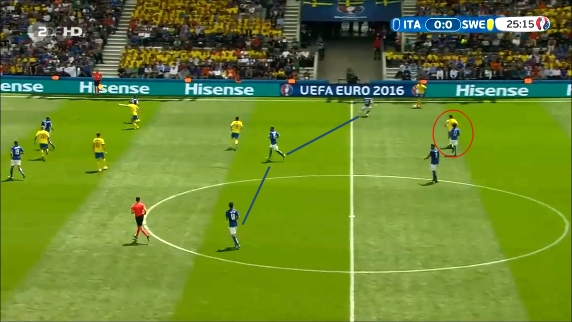 This example was very vivid vs Spain, where Conte implemented high-pressing with much more clean man-orientations in their pressing. This did have its disadvantages but forced Spain to play longer and more direct balls, which prevented Spain from building up their play in control of the possession. This was only done in the last third of the pitch, which means that Italy defended as usual (zonal-marking) in their own half-pitch (again sign of flexibility tactically within the game). Italy did (as I mentioned above) implement a higher pressing approach with man-orientations against the La Roja. 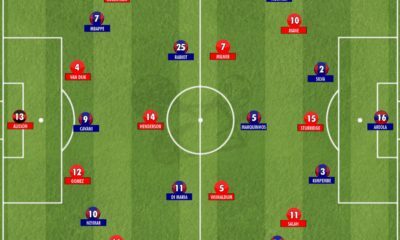 Due to the fact that Conte knew Spain were going to play central-defenders occupying wider positions in the buildup phase with Busquets as a pivot between the central defenders, Conte chose to press with three players in the first line of press/defense to gain better access to the players of Spain. Since Spain played with three midfielders in a 4-3-3, man-marking Busquets would leave their midfield with just two central midfielders left; two central-midfielders which Parolo and De Rossi man-marked situationally depending on whether they tried to support the build-up or not. Since Pelle man-marked Busquets, Eder and Giaccherini focused on closing down Spain’s central defenders in the buildup phase. If any of the fullbacks tried to support the build-up, then they were closely followed by the wingbacks of Italy. This kind of pressing forced Spain to play longer balls into middle third (as seen in the video above). What surprised me the most with the Italian team was that they actually prioritized possession with a purpose. 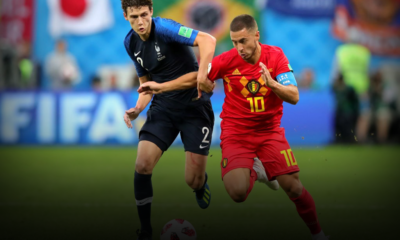 This means that Conte prioritizes the possession as a tool to try and take advantage of the opponent’s disorganizations and create goal scoring chances. This to be able to find a free man between the lines through good positional structure (positional play). Even against teams with a more intensive/higher pressing approach, Conte wants his team to prioritize possession to solve the build-up properly and see the longer pass as the last option. With a 3-1-4-2 in possession, Italy has flexibility and can quite easily create access to the half-spaces or build-up through the flanks. 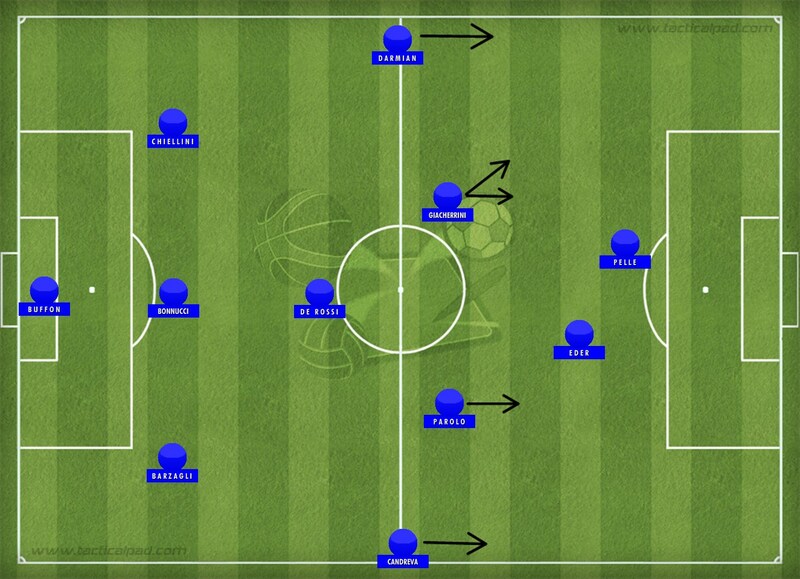 Same situation as shown above, with Italy in a 3-1-4-2 formation in possession. The philosophy of Conte is whenever they have possession in between the midfield and backline of the opponent to play much more direct in their attack. Meaning that Italy plays quicker combinations to find the ‘’final’’ pass vertically or use the wingbacks to then overload the penalty box while timing a cross or cutback. What was a very common aspect during their build-up (of course depending on the opponent) was that Giaccherini and Parolo (central-midfielders) did not ‘’support’’ the build-up phase as much as one is maybe used to see during games. 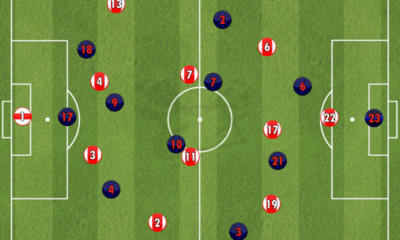 They had a longer distance orientating their positions behind the opposition midfield line in and out of the half-spaces. 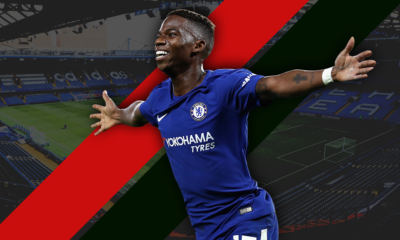 What Conte wants is to use the central-midfielders as players creating overloads vs opposition fullbacks, by occupying the half-space when at the same time the two strikers orient their position more centrally, occupying one central-defender each. 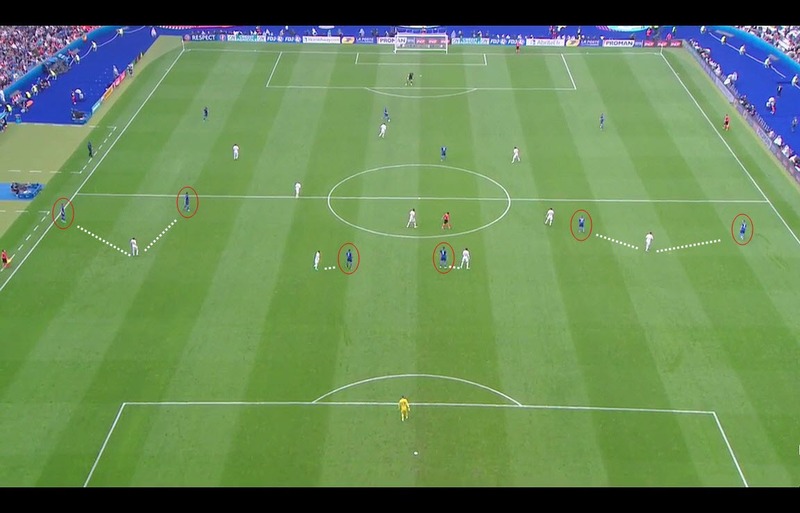 The way Conte uses his fullbacks in very attacking positions profits from this kind of positioning which often creates situations for a diagonal switch to a completely free wingback. With this kind of positioning, Conte creates a numerical superiority versus the opposition’s last line of defense (for example vs a 4-backline – 6v4 superiority). With a numerical superiority against the opponents’ last line of defense, the 3-backline system of Italy during build-ups facilitates the build-up phases for Italy. This allows them to create a numerical superiority versus most opponents’ first line of pressing/defense (for-example a 3vs2). This means that due to the numerical superiority Italy is often able to advance in their build-ups. Central-midfielders in Italy occupy the half-space, while De Rossi acts as the pivot. Notice the position of the wingbacks on each side, were they have a clear numerical superiority. With this positional play/structure of Italy, Conte wants to find more direct ways to play into players between the lines. 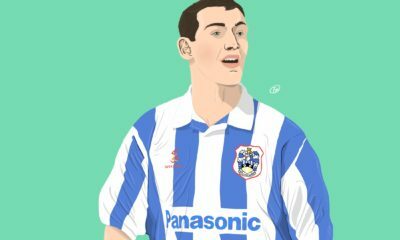 This means that you often see Italy succeed in their process of building up play to advance into attacking zones, due to the players manipulating, occupying and dragging opponents out of positions to find the ‘’free-man’’. This means that (as I’ve mentioned above) that Italy rarely keeps/has a high possession % rate in front of opposition defense, but rather attack with a much more direct approach, with faster combinations, runs in behind from strikers, central-midfielders or via the flanks. The outcome of the attack depends on who gets the ball and where (what the situation looks like). 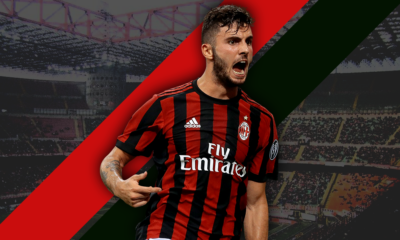 The direct style of play in these areas is prioritized due to Italy’s greater superiority numerically which makes them much more dangerous to the opposing backline. A clear pattern that you can notice is that BBC together with De Rossi in front (3-1) during build-ups don’t have support from central-midfielders, but instead take a much more attacking position. There are also many situations when they do show support very efficiently during the build-up phase. This depends on the opponent and how/where/when the opponents started their pressing. Italy during their build-up from Buffon. The players marked with red circle are the central defenders, while the yellow ones are Giaccherini and Parolo (another example/variant of their positioning). Whatever option Spain chose, Italy could advance because the eventual man-orientations of Spain, would create a very vertical passing line centrally (due to the poor compactness centrally from Spain) to a striker who could then continue the attack in a much more attacking zone. With players such as Barzagli, Chiellini, Bonucci and De Rossi in the build-up phase, Italy were able to advance through opponents’ first and second lines of pressure quite efficiently and even as you saw above play more vertical passes (successfully). As I’ve mentioned earlier, Italy tried to always play through the opponents’ first line of press with the possession as a tool, independent of how the opponents press. 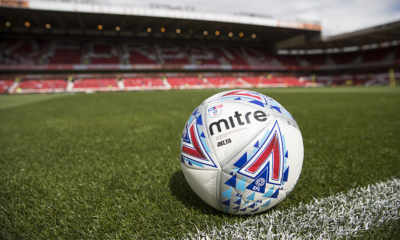 The huge focus on keeping possession is in the first line during the build-up phase with a lot of horizontal focus, to basically invite the press or tire the opponents out. This can also be done to find the right situation to take advantage of the superiority that Italy tries to create during the build-up. With a three man back line it is easy to advance through an opposition line of press with 2 strikers. Thanks to the numerical superiority and half-space positioning of the Italian central-defenders, they are able to find combinations and solutions to solve opponents’ 2nd line of pressing due to the advantage of the positioning of the Italian players. Due to the very attacking positions of the wingbacks and central midfielders, Italy has no problem with creating passing options between the lines due to the numerical superiority. What Conte wants with De Rossi’s position is to always have a central passing option for the central defenders, because this forces the opponents to focus on his positioning and try to limit his influence on the game. A quite common scenario is that you then organise for-example in a 4-4-2, with two players around this player, which means that De Rossi’s positioning can occupy two players at the same time. This means that Italy are trying to occupy more opposition players with fewer of their own players (positional superiority). This positional structure creates more space for the wide central-defenders to penetrate and operate in. In the video above, Italy is able to, even if they are inferior numerically, have a superior positional structure which facilitates the build-up process towards more advanced zones in the pitch. 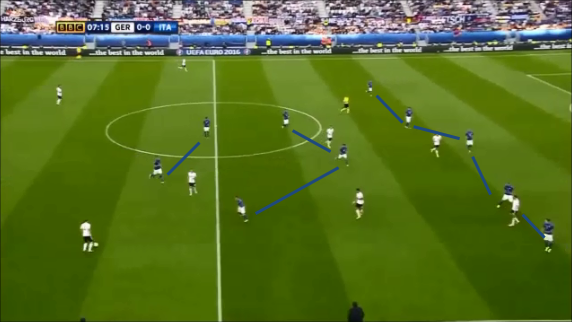 Italy always prioritizes possession with patience and horizontal focus in early build up phases, to find the right option to play through the opposition defense due to disorganization by dragging a player out of position by inviting a press or due to positional superiority that they have created. It is in the last third that Italy tries to become much more direct and play quicker combinations due to their overload in this area. Two very tactically competent components for the successful attacking philosophy of Conte, are the positional play of Parolo and Giaccherini (the central-midfielders). Depending on the opponent and their structure, these two take on different kinds of occupations of zones/players, to create advantage for Italy’s positional structure and eventually find the ‘’free-man’’ between the lines of the opposing team. As mentioned previously, the roles of the two central midfielders are exceptional. They play a huge part of finding/creating options/space from the first line (early build-up) into the attacking third. In football the highest objective is to score 1 goal more than the opponent (if you want to win a game). Due to the position of the goal, the most valuable/efficient pass is a successful pass vertically behind opposition backline as close to the opposition goal as possible. Of course, you cant do this in every situation, which forces a team to find other options to eventually create goal scoring opportunities. With Italy, there is a high priority on finding a vertical pass between/behind 1 or even 2 lines of pressing to find the ‘’free-man’’ that can penetrate in more dangerous zones more directly. This is something you can notice in Giaccherini’s goal vs Belgium. 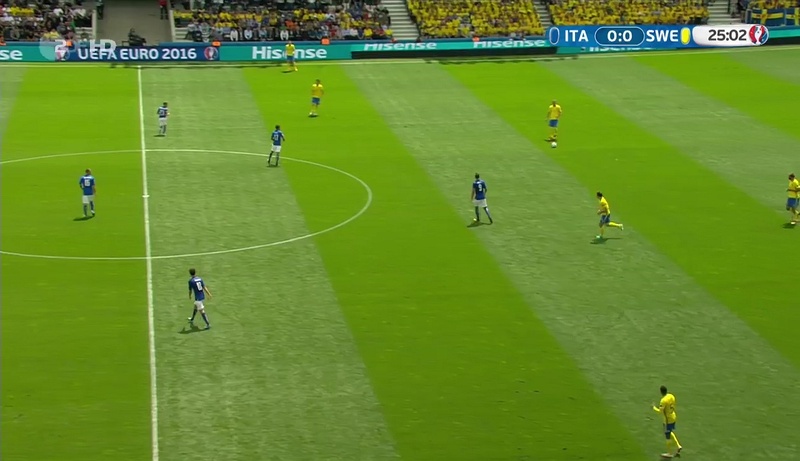 If there are no options for this pass then Italy has to find other ways to create goal-scoring opportunities. Such as using a good positional structure which enables them to open up central passing lines by forcing opponents out of positions. Due to the numerical overload vs the opposing back-line, finding a pass into the space between the midfield and backline meant higher probability for Italy to create a better outcome/final product from the attack. Another very common variant, which was very efficient was when the wingback is about to receive a pass (from whatever player) and basically plays a direct diagonal ball towards the space between the lines to one of the strikers that drops to receive the pass. This variant is very interesting because due to the first vertical pass towards the wingback, the trigger for the opposing backline is to retreat, while at the same time the fullback starts pressing, which forces the ball-near central defender to cover in relation to the pressing fullbacks. This creates enough space for the wingback to then on one touch play a very hard diagonal ball into the strikers between the opposition lines. 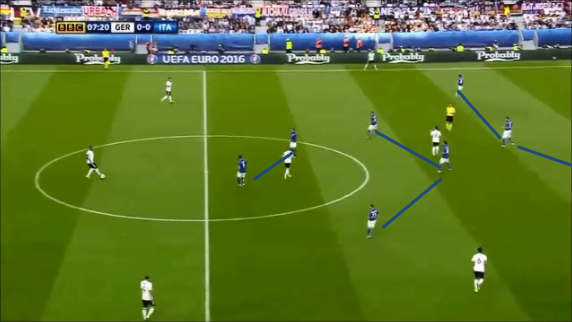 This was a very common and efficient variant which Italy used vs every opposition at Euro 2016. Since you are most vulnerable and exposed to conceding a goal the moment you lose the ball, Conte did of course not leave this phase of the game un-touched. Italy did try to use the counter-attacks to their advantage whenever the opportunity for it emerged. This to take advantage of the disorganization of the opponents, by quick passing, with wide positioning from the attacking wingbacks and vertical runs from the central-midfielders (Pelle scored both of his goals this tournament in this way).